2018 could mark a turning point in the fight against so-called “crisis pregnancy centers” (CPCs), those fake clinics that lie to women in order to deter them from getting an abortion. 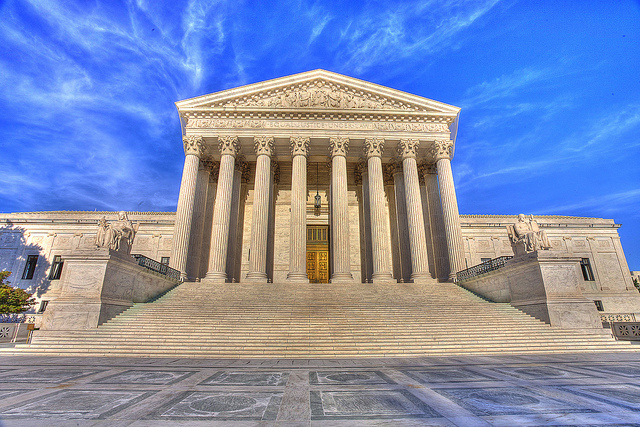 CPCs have been in the news lately, and we’ll be hearing a lot more about them in the coming months—especially with the Supreme Court set to take a closer look at CPCs during its current term. What we know, of course, is that abortion care providers like Maine Family Planning offer a wide range of comprehensive reproductive health care services, and that our expert clinicians are anything but cold; they offer compassionate and non-judgmental care to anyone who walks through the door. Several states and municipalities have attempted to regulate CPCs by requiring them to disclose what they are (and what they are not, namely: medical facilities) and to fully inform women about their options regarding abortion, birth control, and prenatal care. One of those states is California, with its Reproductive FACT Act—and that’s what the US Supreme Court will be looking at this spring. [T]he justices agreed to weigh in on a challenge by “crisis pregnancy centers” – nonprofits that try to steer pregnant women away from having abortions – to a California law that requires the centers to convey specific messages. The law mandates that nonprofits that are licensed to provide medical services post notices to inform their patients that free or low-cost abortions are available and to provide the telephone number of the state agency that can put the patients in touch with providers of those abortions. The groups that are not licensed to provide medical services – but try to support pregnant women by supplying them with diapers and formula, for example – must include disclaimers in their advertisements to make clear – in up to 13 languages – that their services do not include medical help. Oral arguments have not yet been scheduled. This will be the first abortion-related case with Justice Neil Gorsuch on the bench. Indeed, Media Matters abortion rights and reproductive health researcher Julie Tulbert warned at the end of December that we can expect a right-wing PR campaign on behalf of CPCs to “ramp up” in 2018. “As the Supreme Court debates and decides NIFLA v. Becerra in 2018, the media should call out CPCs when they use deceptive tactics, and resist promoting the inevitable right-wing spin that free speech of such organizations is being unduly impeded,” Tulbert wrote. Maine Family Planning will be watching and we’ll keep you updated as arguments are scheduled.